After the success of last year’s Ride For Hope in the first week of July 2016, when Mehrdad Erfani pedalled from Pittsburgh to Washington, DC, to raise over $6500 in funds and awareness for OMID, this wonderful cycling philanthropist is about to ride again for the young women at OMID. Mehrdad was born in Iran, and has been living in the US since the late seventies. A Software Consultant by profession, he also works as a voluntary Director for Volunthropy and a Co-Director for homelessness project Dast2Dast as well as running the website MilesForCause.org. He currently lives in the Washington DC area. Here’s the details of this next event in his own words. 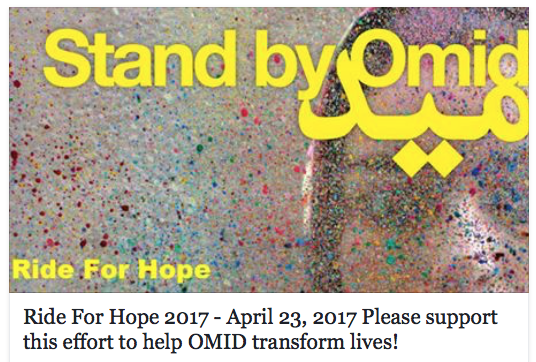 “On April 23rd, we ( I, and hoping many more joining me) will pedal 100 km (63 miles) and climb about 2000 meters ( 6500 ft) in one of the most picturesque parkways in the world; the challenging but beautiful SkyLine drive, to raise funds and awareness for the fantastic work OMID Foundation does helping vulnerable young women in Iran. The foundation takes some of the most abused and neglected girls and through a holistic approach helps them achieve self-awareness, self-determination and self-sufficiency, and in the process empower them to turn their dreams and aspirations into reality. Not an easy task considering the young women who come to their care are typically runaways from abusive homes, often suffering from mental health and emotional difficulties, mostly stemming from psychological, physical, and sexual abuse…Many of us, aware of horrible conditions around the world, quite often say “I wish I could do something about THAT. Well … here is a chance to do just that, for one of those THATs. CLICK HERE to donate to this fundraiser, or even join the team. 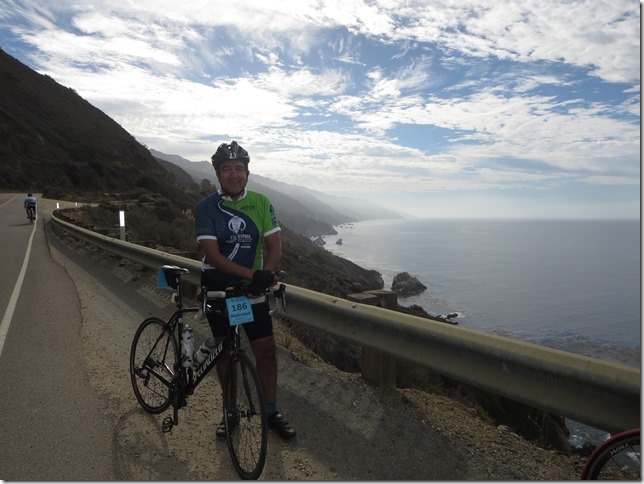 CLICK HERE to read more about Ride For Hope 2016 and Mehrdad Erfani.